Innovation: Real Attitude or a Buzzword? We have become so accustomed to buzzwords that it is inevitable to adopt a new word to describe a new year. Public administration is no exception. As a discipline, what are our plans of study and practice to innovate what we do or think? 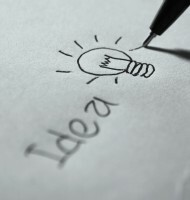 Where will we publish truly innovative ideas? Certainly, peer review governs the exposure of ideas. Professors and researchers working within comfort zones are reluctant to explore far outside the zone of peer acceptability. After all, their acceptability determines the merits of the work and what gets published. However, when we examine the lives and careers of committed innovators throughout history, we see not just extraordinary ability but powerful curiosity, passion and courage. Formal peer review can work against innovation by denying those ideas that do not fit within a discipline’s boundaries. When a learned opinion does not dovetail closely with what we already know and believe, the idea ends up rejected and never seen by those who may find merit in the idea. Certainly, peer review keeps voodoo science out of the literature; that is its purpose. But how many innovative ideas get thrown out in our commitment to protect the discipline from falsehoods? Determined polymaths challenge rigid patterns through active scholarship. This results in the presentation of unique ideas and unexpected cross-disciplinary relationships. Within these boundaries, no amount of marketing rhetoric, such as the “year of innovation,” is going to open windows and build crosswalks between the disciplinary silos. Many intellectuals are polymaths but are unwilling or afraid to share their ideas publicly. With tenure on life-support, a polymath professor may not be hired. If a polymath professor is hired, there is no promotion, no tenure and a very possible termination if the professor ventures too far off the reservation. Disciplinary boundaries are reinforced even as we train the next generation of scholars who may otherwise be in a position to discover something new if they were free to do so. What can be done to adopt a “year of innovation,” an attitude of acceptance of innovation and outside of the box thinking? We can begin the process by how we educate the next generation of scholars. When I was a doctoral student, I took a course called visionary and creative management taught by a truly remarkable and eccentric professor. He was a public administration professor with education and experience in engineering, physics, advanced mathematics, statistics and literature. He forced doctoral students to quiet their rational thinking processes and allow creative minds to process information in new ways to arrive at unique solutions to social problems. Of course, there were no textbooks for this course. Sadly, Dr. Jay Mendell died some years ago and I am sure his course died with him. For established scholars, there are few outlets for creative and innovative ideas. One such outlet is a journal published in Canada by Eleanor Gor, The Innovation Journal. This journal is dedicated to presenting scholarly and innovative ideas. It is important to allow new ideas to seek an audience and those who read this journal are seekers of new ideas. Earlier in my career, I was part of the charter editorial board, lead by Dr. Marc Holzer, in designing an innovative journal in American public administration. I was appointed book review editor for Public Voices, a peer reviewed journal published by a section within the American Society for Public Administration, which presents perspectives that are unique to the discipline. The overall impact could be astonishing. Would it be possible to open a new faculty line for a professor of innovation? The scholar selected must be cross-trained, interdisciplinary, multidisciplinary and creative. Could we find somewhere out there, among our peers, a modern day Leonardo da Vinci? For readers who are secretly polymaths and for those who are not, I suggest two books as required reading for established scholars and doctoral students planning a career of scholarship. Read The Innovators, a new work by Walter Isaacson, and The Silo Effect: The Peril of Expertise and the Promise of Breaking Down Barriers by Gillian Tett. But don’t leave these books out in the open for fear of ridicule and possibly censure. Why? Simply challenging prevailing worldviews is just too unsettling for those in their safe and secure comfort zones. Without these and other changes to how we perceive new ideas, the “year of innovation” is just another buzzword for just another year. Author: Michael W. Popejoy, M.B.A., Ph.D., M.P.H., M.S., FRSPH is cross trained with his Ph.D. in public administration and the M.P.H. in public health from a CEPH accredited school of public health. He also teaches both graduate public administration and graduate public health. Email: [email protected].